Ecumenical Bible Week 2017 got underway on Sunday evening (June 4). The week long programme of events runs each year from Pentecost to Trinity Sunday and this year there are 23 events with 25 presenters in venues across the Diocese. The theme is ‘Faith comes from hearing the word of Christ’ which honours the 500th anniversary of the Reformation. 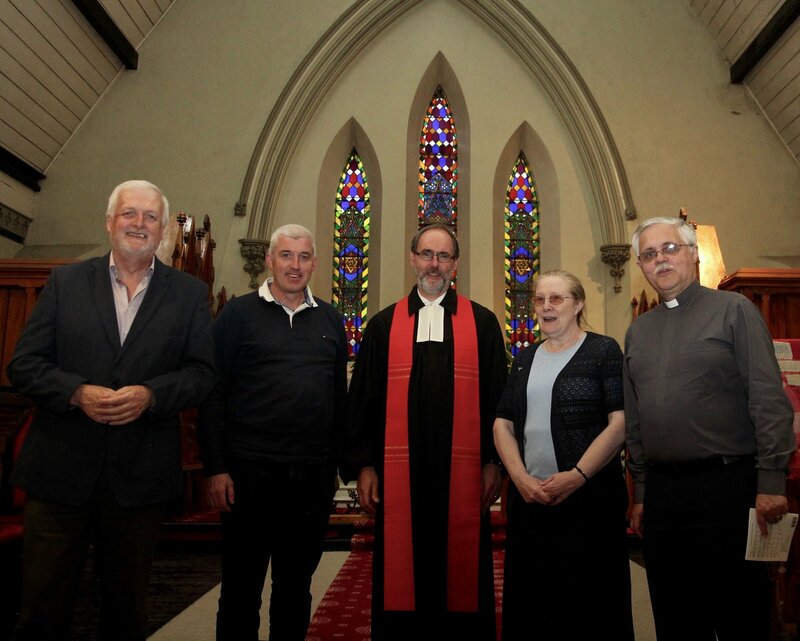 The week was launched in St Finian’s Lutheran Church in Adelaide Road with a service of Sung Lutheran Vespers. The closing event will take place here also on Sunday next, June 11. Pastor Stephan Arras said it was a great honour for their tiny church to host the events and mark the 500 years of Reformation. He added that the theme of Ecumenical Bible Week 2017 got right to the centre of Martin Luther’s theology. Pastor Arras also led prayers for the people of London and for all people who fear attacks as well as refugees and those who host them. Ecumenical Bible Week continues this evening with the Pentecost Schools project involving St Michael’s National School in Ballyfermot and St Laurence’s National School in Chapelizod. A symposium, chaired by Archbishop Michael Jackson, takes place on Friday in the Holy Cross Diocesan Centre on Clonliffe Road, Drumcondra from 2.00 pm to 5.00 pm. The topics are: “The Joint Declaration on Justification: its significance and potential” presented by Prof. Tony Lane and “How should we remember the Reformation?” presented by Prof. Salvador Ryan. Church of Ireland, Dean of St Patrick’s Cathedral; Pastor Nick Park, Evangelical Alliance, Solid Rock Church; Dr Geraldine Smyth OP, Roman Catholic, Adjunct Associate Professor in Irish School of Ecumenics; the Revd Vanessa Wyse Jackson, Methodist Church. The closing event in the Lutherhaus takes place on Sunday June 11 from 7.30 pm to 9.00 pm and features the BBC 1983 film ‘Martin Luther: Heretic’. The screening will be followed by a reflection and discussion led by Dr Kieran O’Mahony OSA.